This isn’t our first review with Kiwi Crate but it’s been awhile. The last box we got was in 2011! So let me give you the update: KiwiCrate.com is a monthly subscription based service. Each month your box comes with two crafts or projects for your kids to interact with. All the pieces are there and there are fun instructions included. There’s sometimes a little lesson or booklet that’s educational that makes the projects fun with that bonus of learning something new, too! Cole (8) took part in our sample KiwiCrate that we received, which had a cooking theme. 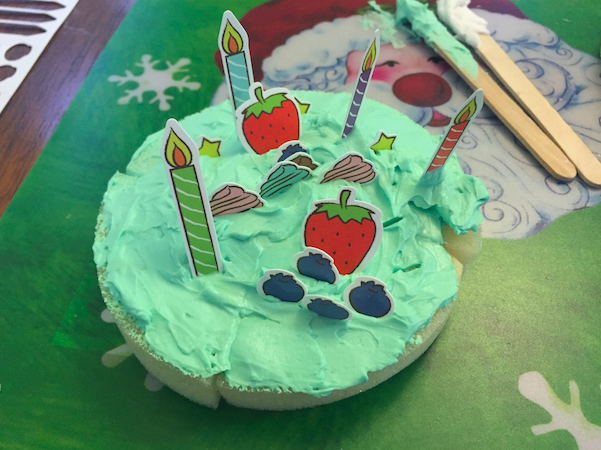 He got to “bake two cakes,” which meant using foam pieces for the cake and some play-doh material for the icing. The instructions are really colorful and clear for the kiddos. 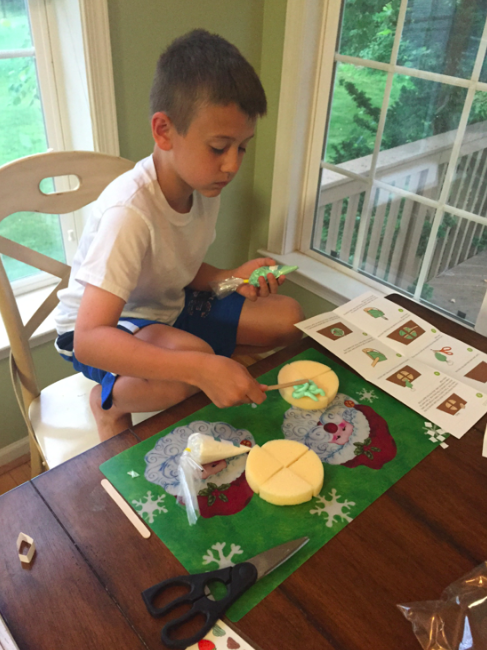 Projects are ranked on parent involvement too – this one had a low parent involvement so he was able to do it all by himself. Check out KiwiCrate.com and see your box options. You can try just one box for $19.95 or order multiple months worth for less money per month.